In Jallow v Ministry of Defence  EWHC B7 (Costs) Master Rowley rejected an argument that the settlement of a claim for a sum less than that claimed and a reduction in hourly rates for incurred costs represented “good reasons” to depart from the costs budget. (I am grateful to Sean Linley from Partners in Costs Ltd for sending me a cop of this judgment). The claim had been claimed at £300,000. This reduction in damages was a good reason to depart from the budget. The reduction in hourly rates for incurred costs represented a good reason to depart from the budget. The Master rejected the defendant’s argument that settlement at £90,000 was a “good reason” to depart from the budget. 16. I would respectfully suggest that the Court of Appeal’s dicta will apply equally to arguments raised on this point under the new regime. The essence of the point is whether it was reasonable for the claimant to believe that his case was worth the sum that he claimed. It is only if he could not reasonably have had that belief, because his claim was exaggerated in some way, that the budget might be considered to have been set on a false premise and as such should be departed from on assessment. 17. That is not the case here. The claimant was “employed” by the defendant for a period of 14 months before he left. That is a very limited period on which to base a substantial loss of earnings claim. The situation in respect of being in the Army is further complicated by the various points (in this case 4 years, 7 years and 12 years) at which the claimant might have left the Army. As I indicated in respect of other decisions that I gave in this case, the claimant’s claim in quantum was inevitably going to be based on a certain amount of conjecture. It is in fact for that reason that both sides relied upon employment expert’s evidence. It seems to me that this is just the sort of case where a wide variety of potential sums might be achieved at an assessment of damages hearing, depending upon how the evidence pans out. Consequently, it was likely to be settled somewhere in the middle given the risks involved to both sides of adverse findings by the judge. That is what happened in this case. 18. In my judgment, the claimant did not exaggerate his claim. He put forward alternative cases as to quantum which demonstrates that he was alive to the issues surrounding the potential level of damages to be recovered. Therefore, the ultimate settlement of this claim did not falsify in any way the premise of Master Leslie’s setting of a budget in a case where the sums in issue were £300,000. Consequently, I reject the Defendant’s argument that the valuation of the case is a good reason to depart from the budget. The Master also rejected an argument that the reduction in hourly rates on the incurred parts of the bill was a good reason for challenging the budgeted costs. 25. There are numerous other passages that could be quoted in terms of the aims of costs management. It is, on any account, a time intensive exercise being undertaken on the great majority of multitrack cases. If there is to be any saving in the costs incurred overall, then those costs must be saved at detailed assessments. The only way of doing so is to reduce the time involved in detailed assessments or indeed the need for them in the first place. Those aims will only be met if the good reason test comes with a high threshold to pass. 26. Davis 1J in Harrison at paragraph 44 considered that the ability of the assessing judge to depart from the budget, where there was a good reason to do so, went a considerable way to meeting the defendant counsel’s prediction that detailed assessments would become a mere rubberstamping of CMO’s. This is so, but it does not mean that good reasons will necessarily be easy to find. 27. Mr Hayman sought to argue that a good reason founds essentially the same test as a “significant development” in the litigation, which is required to persuade the court that a CMO should be amended. I do not accept that submission. In my view, the phrase “good reason” is wider than “significant development.” Whilst it may well be that, for example where the trial went on for rather longer or rather less time than was anticipated, this would be a good reason to justify an increase or decrease from the budgeted figure. But it does not have to be an unexpected development after the last CMO for it to be a good reason, in my view. 28. There is, however, another test which has long been employed in detailed assessments which, in my view, does have some similarities to the good reason test. In detailed assessments, there are regularly challenges made to the retainer of the receiving party as to whether that party is liable to their solicitor for costs so as to raise an indemnity principle challenge. It has long been held (see for example Hazlett v Sefton Metropolitan Borough Council  1 Costs LR 89) that a party who instructs a solicitor is liable to pay the costs of that solicitor. If the paying party wishes to challenge that position it needs to demonstrate that a “genuine issue” exists. Consequently, the solicitor’s certificate to the receiving party’s bill of costs that the receiving party is obliged to pay the solicitor’s costs is normally conclusive. 29. It seems to me that a similar test to the “genuine issue” test is intended by the “good reason to depart” terminology in CPR 3.18. In place of the solicitor’s certificate is the approval of the budget by the court. In either situation, the judge at the detailed assessment is not going to entertain a challenge unless something is raised which is specific to the case before the court. There is nothing specific to this case regarding the hourly rates challenge. If they are reduced here, exactly the same point would apply in any other case. That, in itself in my view points to the conclusion that a reduction in the hourly rates ought not to be a good reason to depart from the budget. 31. In my view, the notes to the White Book do not take the defendant very far. The fact that the hourly rates allowed at the detailed assessment are different from those originally used in the budget does not, in my view, found a good reason. This case is a good example of why the make-up of the estimate on which the budgeted costs are subsequently agreed or approved is not relevant to the subsequent detailed assessment. In this case the solicitor who had conduct for the first two years (which was, more or less, up to the CMO) left the firm and the case had to be reallocated. The claimant and his solicitors took the view that a more experienced solicitor was required to deal with the difficulties in the quantum claim. Consequently, the work was done at a higher hourly rate than had been envisaged in the budget. It has always been my understanding that the approved phased total can be used by senior or junior fee earners at differing hourly rates as the party considers to be appropriate. If it were otherwise and, as in this case, the fee earner who had originally been acting was no longer able to do so, a slavish adherence to the rates set out in the calculations for the original budget would mean that an application to amend the underlying details to the budget would be required even though there may be no wish to amend the budget totals themselves. That seems to me to be an unlikely proposition and this illustration explains why I have said above that once the phase total has been approved the underlying figures are no longer relevant. 34. The assumption on the part of the defendant is that if each item is claimed at an unreasonable hourly rate in the budgeted part of the bill, then the totality of the items in each of those parts must equally be unreasonable. This would be so in a conventional detailed assessment. However, the budgeted part of the bill is not dealt with by a conventional detailed assessment. The court has to accept that the budgeted figures for taking the case to trial (as recorded in the CMO) are reasonable and proportionate. Therefore, if the sums subsequently claimed in the bill are within that budget they are, on the face of it, also reasonable and proportionate. Where, as here, the case got to within a short period before trial, and therefore it can be assumed that much, if not all, of the work had been done within the various phases and the costs were still within budget, the presumption is all the stronger in my view that the costs incurred are reasonable and proportionate. 35. As I have set out above, it is for the party and his or her solicitor to determine who exactly does the work that needs to be done. Where the costs overall are within the budget that has been set, there can be no legitimate criticism in using a senior or a junior solicitor, leading or junior counsel to carry out the work. This is true, even if the work is all carried out at ostensibly unreasonable hourly rates. 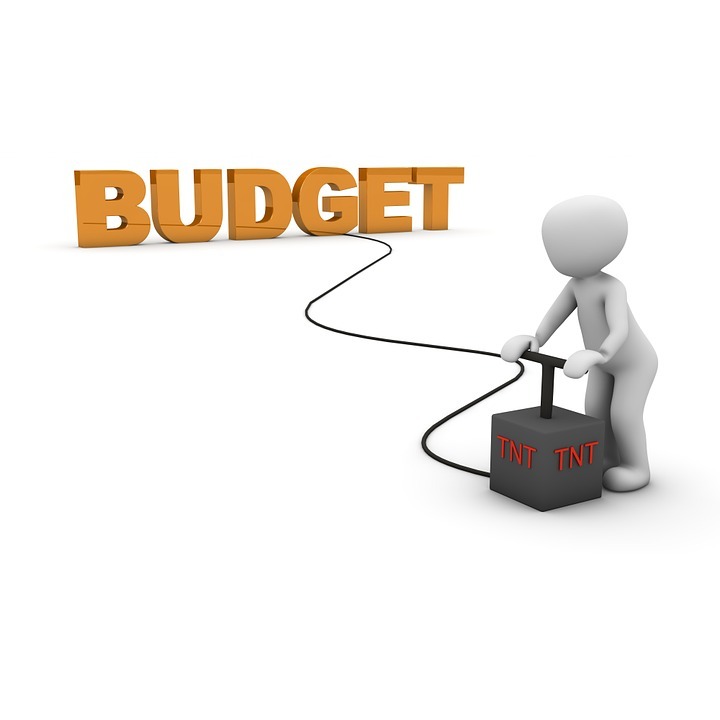 If it comes within the budget that has been set, it will turn individually “unreasonable” items into a reasonable and proportionate sum overall. As I put it colloquially at the hearing, two odd numbers added together will still make an even number. 36. My concern, and I suspect Master Campbell’s, is that the lack of scrutiny at a detailed assessment of the hourly rates claimed will encourage parties to incur costs up to the budget set for each phase on the basis that they are unlikely to have to withstand scrutiny at a detailed assessment. As such there will be an inflationary element which is only kept in check by conventional detailed assessments. But this concern is something which has to yield to the aims of costs management in making detailed assessments shorter. For a long time, the work of the costs judge has been described as the compounding of “much sensible approximation” to achieve justice. Ultimately the use of CMOs is simply a further example of that pragmatism. 37. Accordingly, I find for the claimant that there is no good reason to depart from the budget by virtue of the reduction to the hourly rates in this case. ← IDENTIFYING THE SUCCESSFUL PARTY AND MAKING A COSTS ORDER: PARTIALLY SUCCESSFUL CLAIMANT’S APPEAL ALLOWED: DEFENDANT ORDERED TO PAY 60% OF THE COSTS.